Ceylon White tea is an exquisite and rare tea grown in the tea estates of Sri Lanka. What makes this tea special is the fact that is composed almost exclusively of long tea buds covered in dense downy hairs. It is an extremely rare tea with a fruity light flavor with a very honey-like interesting flavor. As with other white teas, this one is packed with antioxidants that give it an enormous health potential, so come and learn more about this Sri Lankan beverage. Travel to Sri Lanka and have a cup of this wonderful tea. Sri Lanka does not have a long history of tea growing like China. In fact, Ceylon tea has its origins in the 19th century when Sri Lanka was still a British colony named Ceylon. When the island’s coffee plantations were destroyed due to an infestation, the British started to tea plantations with great success and for a long time, it was mostly black tea that was produced. From the beginning Ceylon teas displayed high quality and a wonderful flavor. This amazing reputation resulted in the fact that Ceylon tea still keeps the original colonial name as its brand and some of the best known tea companies use this tea in their blends. For more details on the history of Ceylon Tea, go visit our Ceylon Tea page. Today, a few tea plantations have started producing Srilankan white tea, particularly in the Nuwara Eliya tea estate near Adam’s Peak. This white tea is considered extremely rare due to the fact that only slightly curved silver tea buds, just over an inch long (~2.5cm) are picked to compose this tea. Also it requires that tea pluckers search for tea bushes that produce these long buds, which are much scarcer than in China, so most estates just prefer to produce other types of tea. Once the tea is plucked it still has to be processed before you can brew it. Making such a unique tea requires care and dedication and while white tea requires minimal processing, this does not mean it is any easier than making other types of tea. This tea is grown in high altitudes ranging from 2200m to 2500m and it is harvested just once a year by hand. No machines are used so that the silvery tea buds remain intact. Then it is rolled by hand to create the slightly curved thin silver buds that are left to wither in the sun. The final step in the process is to dry the tea buds preventing any oxidation from taking place and keeping this tea as natural as possible. After sorting and packaging, this tea is ready to be shipped around the world. However, being such a rare and delicate tea it does become expensive specially when compared to machine-harvested black teas. Let’s have a look at some of the benefits of this white tea. As with any white tea, this tea grown in Ceylon is also rich in polyphenols and antioxidants, vitamins and minerals. Such a nutritious tea has plenty of health benefits. The antioxidants present in this tea strengthen your immune system, helping to build your defenses on a daily basis. Ceylon white tea contains antioxidants and nutrients that help to ward off viruses and bacteria, aiding in prevention and healing process, reducing the risk of disease and recovery time. Here’s a tip: even though it is generally recommended that you do not add sweeteners to this tea, go ahead and add a teaspoon of honey to your tea if you have a cold. Made exclusively of tea buds, this white tea contains caffeine to help you feel alert and energized. At the same time, this tea also contains theanine, an amino acid that relaxes the mind. With this tea will alert without stress and anxiety, so it is said to lower the rate of depression, reducing the possibility of dementia. If you are excessively sensitive to caffeine you should refrain from drinking this at night so as not to disturb your sleep. Drinking Ceylon white tea on a regular basis is said to help your heart. The high content of antioxidants strengthens your heat and prevents blood clots from forming in your arteries, helping to prevent strokes. It may also help reduce your levels of bad cholesterol and lower blood pressure, two main causes of heart attacks and heart disease. Start drinking tea on a daily basis, eating a healthy diet and with regular physical exercise your heart health should start to show some improvement. Rich in polyphenols, a good healthy tea like this one should improve your digestion and increase the rate of your metabolism. Ceylon white tea may help reduce the risk of indigestion and acid reflux by getting your stomach to process foods faster and getting rid of waste products faster. With exercise, a healthy diet and this tea your body should not only be able to burn fat faster, but also prevent absorption and accumulation of fat in your body. White teas such as this one are also said to have anti-inflammatory properties, reducing the risk and pain of arthritis. A healthy metabolism will help reduce sugar levels that may lead to diabetes, so drink this tea unsweetened, not that its sweet flavor needs any additional sweeteners. Improve oral health by getting rid of the microbes that cause tooth decay, gum disease and bad breath. Check out more information about the common white tea health benefits. Buy your Ceylon White tea Today! Ceylon white tea or Silver Tips is composed, as the name suggests and as mentioned, exclusively of the young buds found in the new tea shoots of the tea bush. These tea buds is where studies have found that the tea plant stores most of the caffeine in order to fight insects that attack it. Of course, soil composition, weather, altitude and a number of other factors may influence the amount of caffeine in tea. Caffeine in tea is said to work differently from that of coffee, taking more time to dissipate into the blood stream and having a longer energizing effect. If you are overly sensitive to caffeine, even the presence of Theanine will not offset the effects of caffeine and you may suffer headaches, nervousness and sleep deprivation. Consider decaffeinated or herbal teas. Pregnant? Then talk to your doctor before drinking any type of tea to learn how much caffeine you may or may not drink during this stage, or afterwards, while breastfeeding. Now let’s take a look at how to make Ceylon White tea. Delicate and rare, this tea should be brewed properly otherwise you will not get value for your money. So let’s learn how to brew Ceylon White Tea. 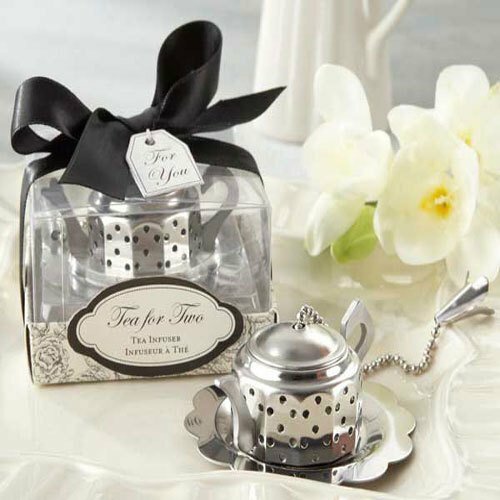 A white ceramic or glass teapot are perfect for making this tea. The round shape of the teapot will let the buds brew to perfection and the white or transparent color will allow you to fully enjoy the brewing process. Preheat your teapot and cups so that the tea does not immediately cool down as soon as the water hits the cold walls of your tea ware. Once the teapot feels warm discard the water and place in the teapot 1-2 teaspoons of Ceylon white tea per cup (about 250ml). Later on if you wish to make a stronger tea, you can always increase the amount of tea per cup. 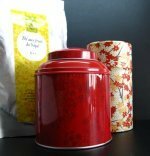 Choosing only good quality water, heat it to 75ºC - 80ºC (167ºF - 176ºF), making sure to never pour boiling water over these or any white tea leaves, to avoid getting a bitter astringent tea. Allow the tea to steep for 2 to 4 minutes and remember that when you rebrew the tea leaves you may have to increase steeping time. Pour your tea into the teacups. If you intend to reinfuse the same leaves then make sure that you always empty the teapot so as to stop the leaves from losing all their qualities. You should obtain a tea that is pale golden, almost copper, in color with a scent of pine and honey. This very light Ceylon white tea brews a citrusy and honeyed tea that needs no sugar, honey or milk. In fact, drink it plain if always possible and learn to adjust tea amount and steeping time, but not temperature to your liking. Click on the image or on the link below to purchase from Twinings your Chakra Silver Tips. 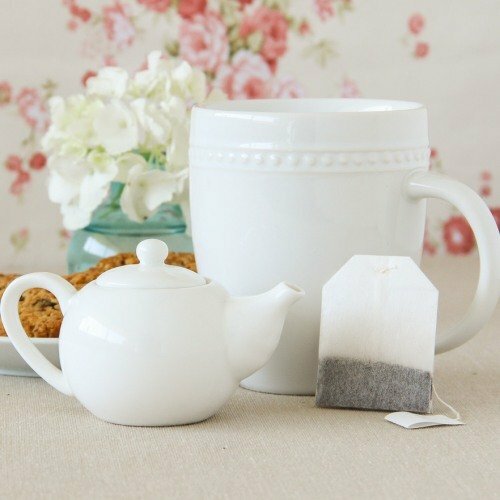 Brew a cup of this exquisite tea and get a delicate tea with a pale color. Remember that these slender buds are very limited in Ceylon, so this is quite a rare cup of tea. Begin your journey and experience the Sri Lankan tea culture.